What do you get when you mix Pinterest, Ikea and HGTV together? Villa Cape San Blas! That’s right, this newly renovated beach house is like something that would be featured on “Vacation House for Free” or “Beachfront Bargain Hunt” with such a cool design and comfortable layout. 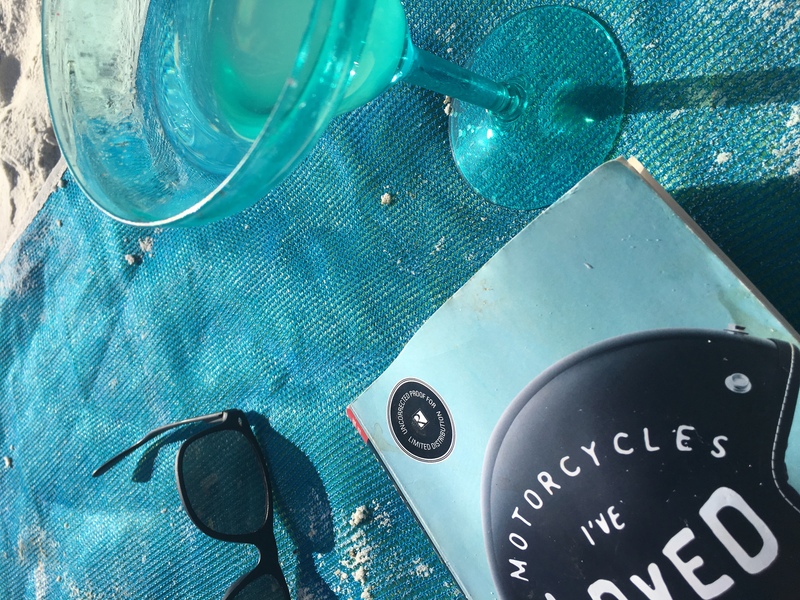 As soon as you walk in from the front deck you feel an openness and beachy feel that will set the mood for the remainder of your beach vacation whether you’re staying the weekend, a week or monthly in one of the shoulder seasons. Located just past the Scallop Cove Convenience Store, you are in a short walk from all of your vacation necessities including bait and fishing licenses if you plan to throw out a line or two. If you’re bringing or renting a kayak or paddleboard, the access to the head of the Bay is a very short drive away. Wonder awaits with a magical world of sea life just under the surface. 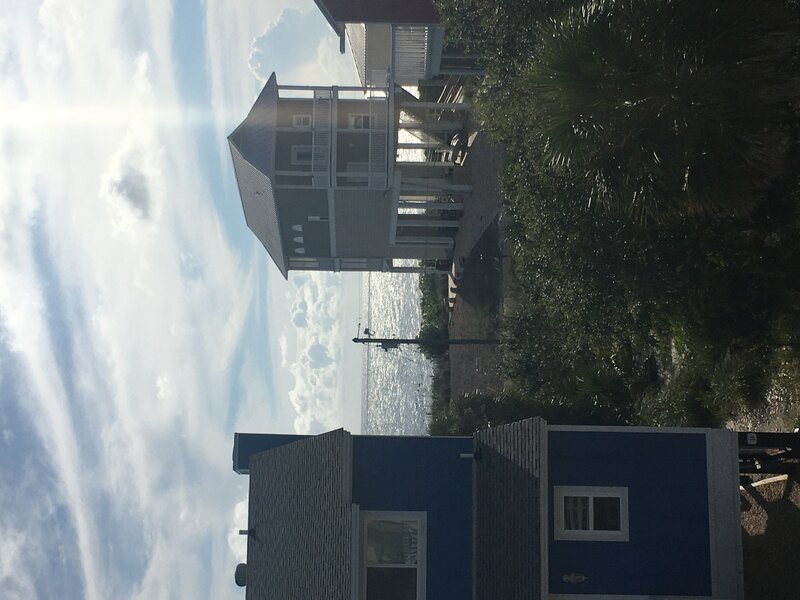 The award-winning Cape San Blas is just 200 steps away from your front deck. You can’t beat that! All you’ll need is a bathing suit and some sunscreen and the rest is here waiting at Villa Cape San Blas. Floor Plan: Ground level-covered, paved parking and outdoor shower. 1st level – large gulf view deck, living room with sectional that folds out into a queen sleeper sofa, TV and DVD player; dining area with large farm table, ½ bath, kitchen with laundry room/pantry and back deck. 2nd level – Bedroom 1 – gulf view master bedroom with queen bed, TV, furnished open deck with view and master bath with shower/tub combo; and Bedroom 2 – 2 bunk sets, TV and full bath with shower/tub combo. There’s also a fantastic view of the bay from the windows in Bedroom 2. 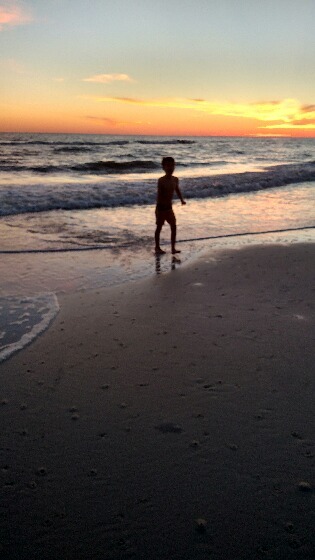 I can't say enough about Villa Cape San Blas and Cape San Blas in general - my favorite place in the world! The house has everything you need - updated kitchens and bathrooms and literally only a minute to the beach. Kids and grandparents both loved it. Very close to Scallop Cove - we walked there for ice cream one evening. Tradin' Post and St Joe Shrimp is about a minute by car. Best shrimp I've ever had. Keyless entry makes it very simple for everyone to come and go. Very quiet and peaceful. I could go on and on... We'll be back! Wow! Location, property and ease of check-in/check-out were incredible!! Will definitely stay at this proper again next year!! This year was second year in a row to stay at same place. We love CSB! We arrived as hurricane Nate hit the shore. most boardwalks were toasted but ours was repairable. We helped neighbor "Smokey" make the repairs in one day so all could have access to beach. 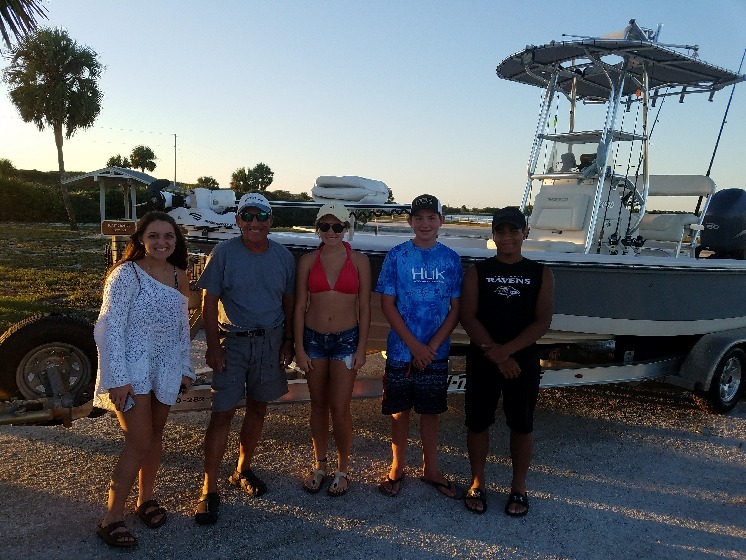 He was gracious enough to take us on his boat for fishing and snorkeling. We had a great trip and plan to be back next year! We booked this vacation to get away from the crowds and enjoy a quiet relaxing time together as a family. 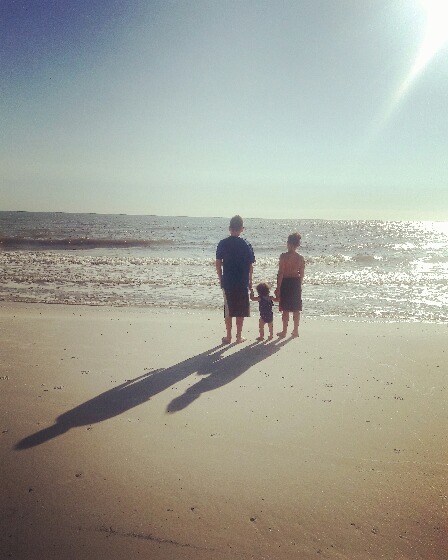 Cape San Blas has definitely exceeded our expectations! 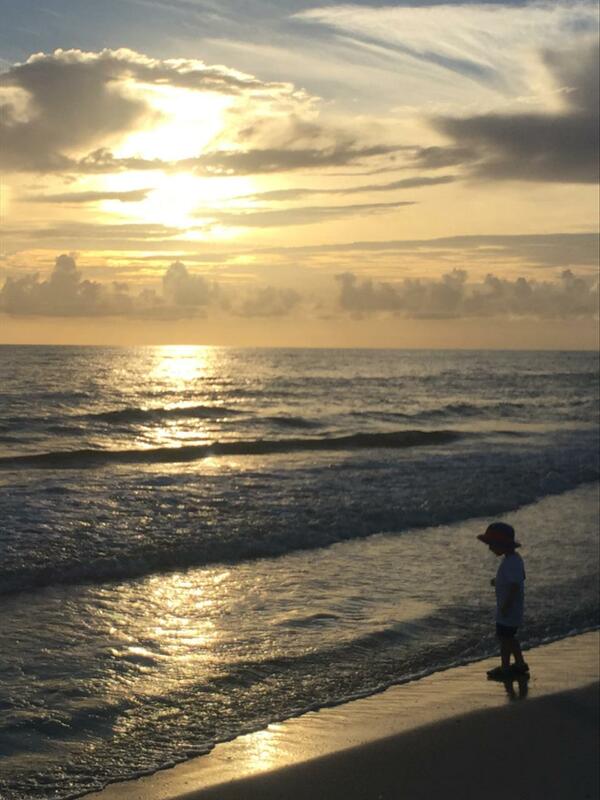 Villa Cape San Blas has been our home away from home! We feel like it's ours! So comfortable and inviting! The beach was basically our private oasis during our stay! This time away just our family of 5 has been magical! We hope to come back soon and stay in our new "home"! It's difficult to find a place that feels like a home away from home. We vacationed to Cape San Blas and Florida's forgotten coast for the first time and have already planned our return trip. It will be difficult for us to ever vacation anywhere else again. I cannot say enough about the location, beaches, nature, convenience, and privacy that we have experienced this week! The house is very clean and very comfortably sleeps my crew of 6. There are quaint places nearby and plenty to keep everyone entertained close to the house. I am reluctantly recommending this as a vacation spot to anyone looking to get away from the hustle and bustle and enjoy some quiet time. Reluctantly ONLY out of fear that it will become a hot spot destination and will no longer be the quiet place that I have absolutely adored this week. This has been by far the most amazing beach vacation! The house our family booked was everything we expected, and then some. It is more than evident that the owners of this wonderful property have carefully taken care of every detail, both big and small, so that you can come and truly "get away". 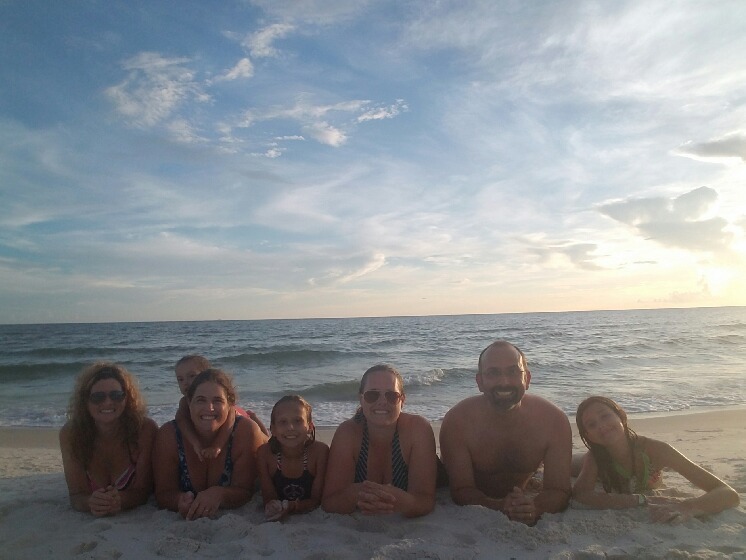 If you are looking for a relaxing, unforgettable beach getaway, then Villa Cape San Blas is the place to stay!